Sennheiser, with it”s tag line “In pursuit of perfect sound” has launched a range of good products, one of which is the HD 202. 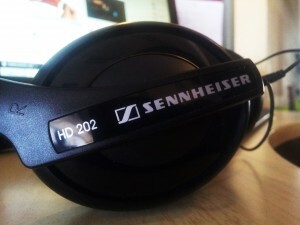 These are closed, dynamic high fidelity stereo headphones. They not only have good insulation against ambient noise, but also a deep bass response, which makes them the ideal companion for DJs, or for that matter, anyone who likes to listen to powerful music, especially without disturbing others. These rugged, lightweight headphones have a decent fit, and the pin can be used for both mobile sources and home systems. Also, the package comes De kosten voor live casinospellen zijn namelijk hoger dan anders, en hierdoor hebben online casinos besloten om alleen de populairste casinospellen te kiezen. with a connector, that plugs on to the 3.5mm jack and convers it into a 6.5mm jack. Talking about the cord, a convenient cord take-up lets you adjust the headphone cable to the required length (which is one essential thing that should come with all headphones). Bass and mid tones do not get muddled and sound excellent. We tested these for all kinds of music (Anu Malik to Beethoven) and have seen great results. « How to open last closed tab in Google Chrome, Mozilla Firefox and Internet Explorer?